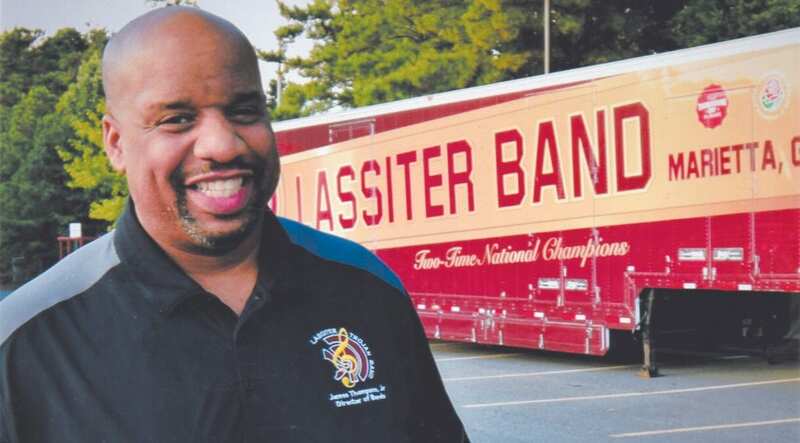 James E. Thompson, Jr. is the director of bands at Lassiter High School in Marietta, Georgia. Mr. Thompson is a native of Savannah, Georgia and a 1993 honor graduate of Herschel V. Jenkins High School where he performed under the direction of Mr. Gary Lackey. As a high school student, Mr. Thompson was considered one of the finest trombone players in the country. He was a recipient of numerous awards and honors as a musician, which includes: membership in the Georgia All-State Band, Georgia All-State Orchestra and the Governor’s Honors Program. State University and has done further study in music at the University of Georgia. He is the son of retired band director James E. Thompson, Sr. and Thomasina Jenkins Thompson. An exciting and unique opportunity has been presented to the 2018- 2019 Lassiter High School Marching “Trojan” Band. Through the course of a rigorous application process, the Marching “Trojan” Band has been invited to perform in the 130th Tournament of Roses Parade on New Year’s Day in Pasadena, California. An application was submitted in the Spring of 2017 in hopes of an invitation, and an acceptance was granted on September 1st to the Lassiter Marching Band for participation. The Rose Parade (www.tournamentofroses.com) is held in Southern California, in conjunction with the Rose Bowl college football game and Pasadena Tournament of Roses. “The Granddaddy of Them All” ismarkedbya5½mile route along Colorado Boulevard in Pasadena, for an overwhelming one-million spectators, and a worldwide television viewing audience estimated at 70 million in over 80 countries. The parade selects bands from hundreds of applications every year–the Tournament of Roses selects about 12 bands throughout the planet for the parade each year. 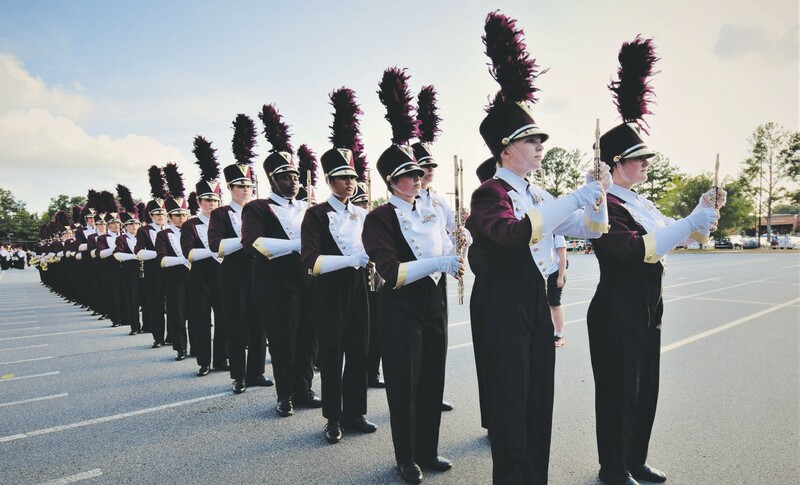 2019 will be Lassiter’s fifth time participating, having marched previously in the 1988, 2001, 2005, and 2013 parades. James, Jr. left Savannah in 2007 to become assistant director of bands at Lassiter High School and has been the head director since 2015. Under Mr. Thompson’s leadership, the Lassiter Band has continued a tradition of excellence by winning nearly every competition in which it has entered. 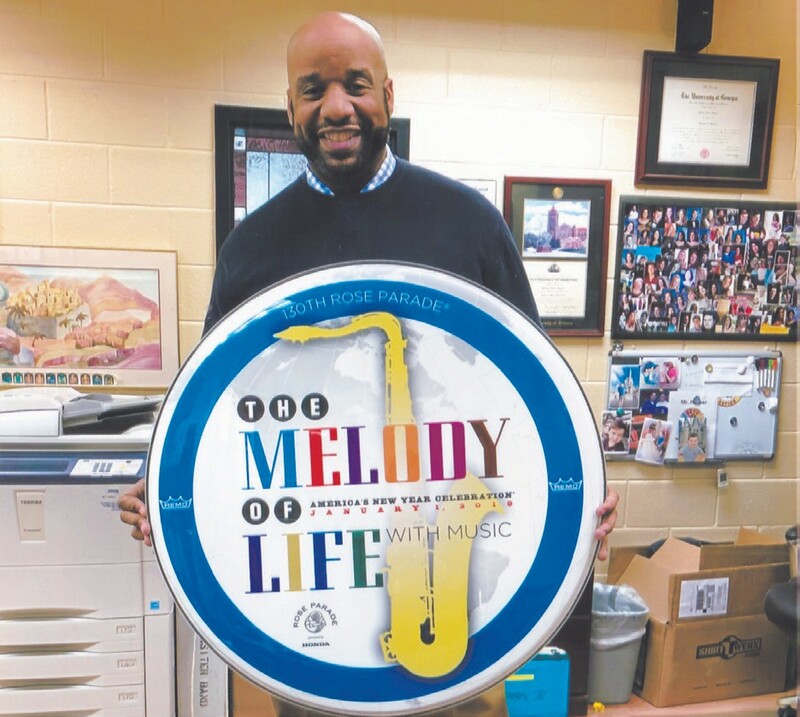 Mr. Thompson has proven to be an outstanding musician and music educator and is highly respected throughout the United States. James Thompson, Jr. is the first band director from Savannah to be awarded the honor of performing in the Tournament of Roses Parade. Mr. Thompson is married to Verlynda Slaughter Thompson, who is also a native Savannahian and a former teacher at Johnson High School. They have two children, James E. Thompson, III and Aria Joan Thompson.